You wake up in the middle of the night to the familiar feel of the ground shifting beneath you. Utilities, including your pipes, can be affected very easily through ground shifting. Even so much as a quarter of an inch can create huge problems. The big issues are caused due to shifts between the main sewer lines connecting your home to Rolling Hills civic systems. These are almost always underground, and breaks cannot be seen easily. Earthquakes causing a shift in the system, even a small one, can cause broken or burst pipes without your knowledge or any noticeable outward signs. It can also create stress on pipelines that were not designed to handle the stress, and over time, they can suddenly crack, morph, or burst as well. This can happen immediately, days, or even weeks after an earthquake with no signs of an underlying issue at all. The best thing to do after an earthquake is to monitor your yard and house closely. Look for signs like new and unexplained puddles of water, dripping sounds, and parts of your yard becoming much greener a couple days after the earthquake. These are all signs of a leak or crack in your system that is located underneath your yard or around your house. In your home, it is a bit easier to detect if there is something wrong. Besides obvious signs of plumbing problems, such as backed up toilets, overflowing sinks, no water running, low water pressure, and so on, listen for water dripping or trickling in your walls. Turn on the water in each faucet in the house and look at the water pressure, is it lower or higher than before? Is the water clear or discolored? Another test is to check your meter, wait 2 hours without using any water in the house, and check your meter again. If there is a change, you absolutely have a leak on your hands that should be dealt with immediately. Our team at Roto-Rooter of Ventura County fixes large and small plumbing problems, and we know how earthquakes can damage your plumbing system. Our trained and experienced staff have the knowledge to find and repair the problem. 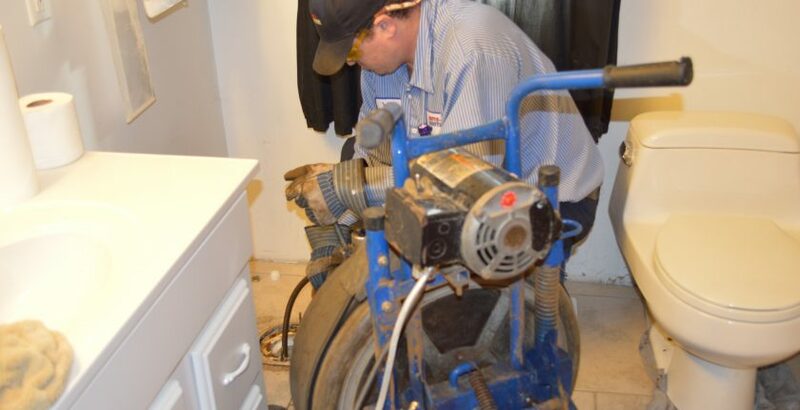 We are able to replace damaged pipes with speed, saving you time and money. If you detect any plumbing damage to your property after an earthquake, pick up the phone and call us for help!